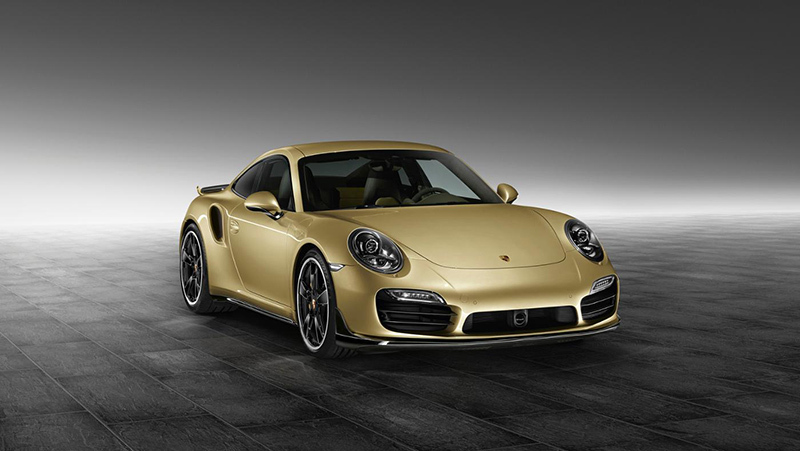 Porsche Exclusive is offering an Aerokit for the Porsche 911 Turbo models. This performance package includes a new, distinctive front spoiler panel and a redesigned rear lid. The distinctive front spoiler panel and the completely redesigned rear lid have a fixed trailing edge with side winglets and a retractable rear wing with an adjustable angle of attack. The expressive front lip with side fins and the striking rear section add even more character and sportiness to the car’s typical 911 Turbo silhouette. Along with an attractive look, aerodynamic functionality was also a top priority during development. The Aerokit Turbo underwent extensive wind tunnel testing and test drives on the circuit racetrack at the Porsche Development Centre in Weissach. The key goal in its development was to improve driving dynamics by further increasing downforce, while preserving the same cd value as in the production version. This ensured perfect integration of the flow-optimised Aerokit into the harmoniously balanced overall concept of the high-performance 911. For example, the aerodynamic components of the “Aerokit Turbo” generate even more downforce at the front and rear axles, which increases driving stability, particularly at high speeds. 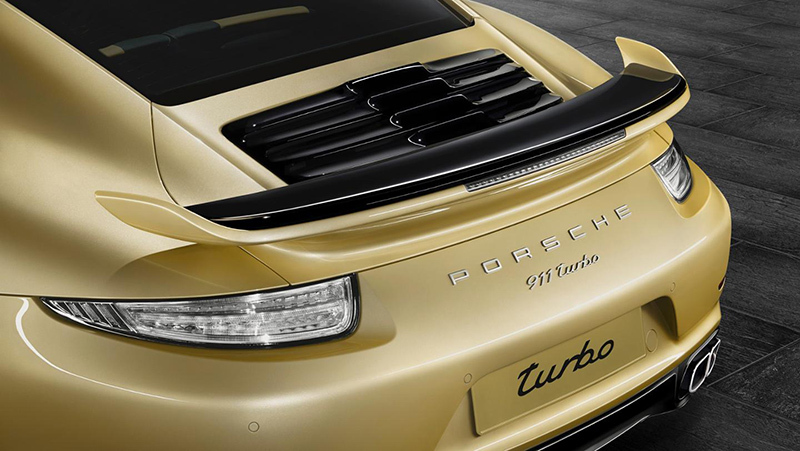 For instance, the total downforce generated by the 911 Turbo adaptive aerodynamics at 300 km/h was increased by 17 kg to 26 kg in the Speed setting, and by 18 kg to 150 kg in the Performance setting. Customers can order one of two versions of the “Aerokit Turbo” – in the car’s body colour or in high-gloss black. In addition to the Aerokit add-ons, the standard side skirts and rear apron are also painted. In the black version, the air intake fins on the rear lid are also designed in black to match the retractable rear wing. The Aerokit will be available ex-works on all 911 Turbo and 911 Turbo S models worldwide via Porsche Exclusive, or it can be retrofitted by Porsche Tequipment. In Germany, the “Aerokit Turbo” can now be ordered from Porsche Exclusive with the purchase of a new car. It costs 5,355 euros including VAT. Aerokit retrofitting will also be offered by Porsche Tequipment. This will cost 4,879 euros (excluding paint finish and assembly). All provisions of the vehicle warranty remain in force in the case of aftermarket retrofitting. Content and images provided by: Porsche Cars North America, Inc.